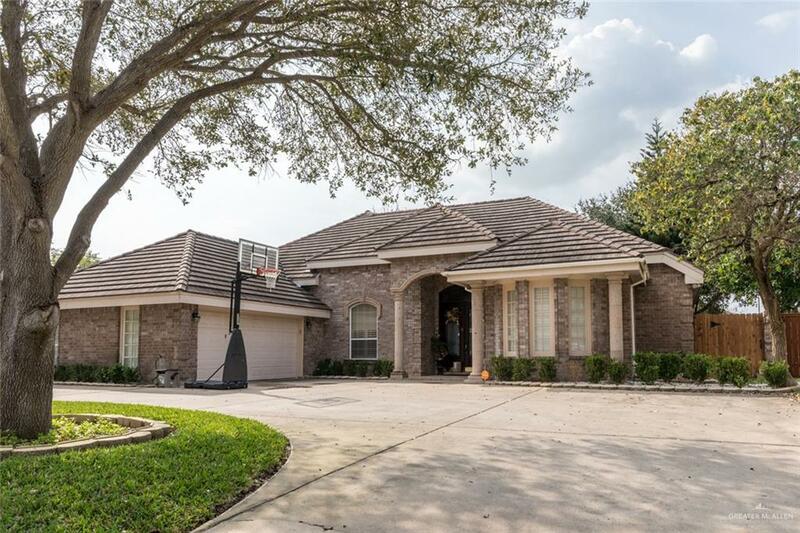 Lovely, Traditional home surrounded by large oak trees, located in the heart of Edinburg. Move-in ready home sits on a generous lot where there's plenty of space for you kids to play basketball in the driveway or on their swing set in the backyard. Home features 4-bedrooms, 3-bathrooms, 2-car garagegiving you 2,722 sq. ft. of spacious family living, tile throughout, and an open concept . The split bedroom house plan allows for privacy when parents just want to relax. Master bedroom with equally sized bathroom features his and hers walk-in closets and built-ins. With the family room off the kitchen, its easy to entertain family and friends. 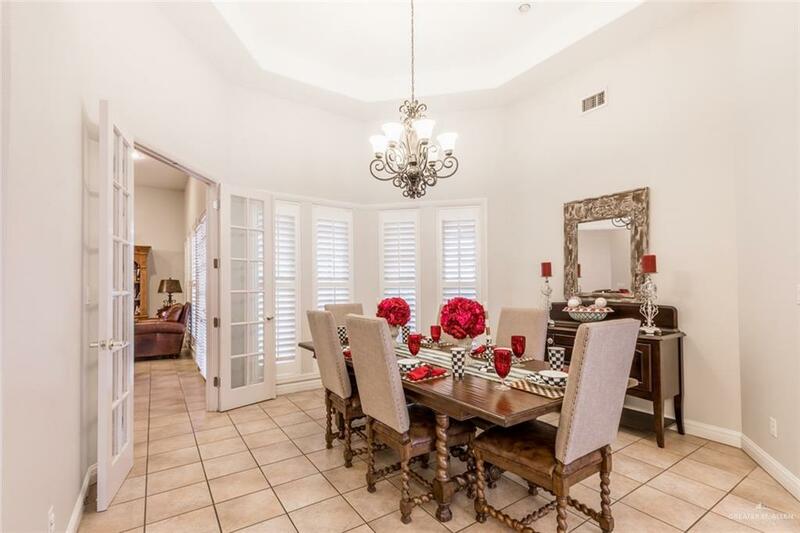 Other features include beautiful plantation shutters, tile floors throughout, built-ins, spacious closets in all the bedrooms, laundry room and large back patio. 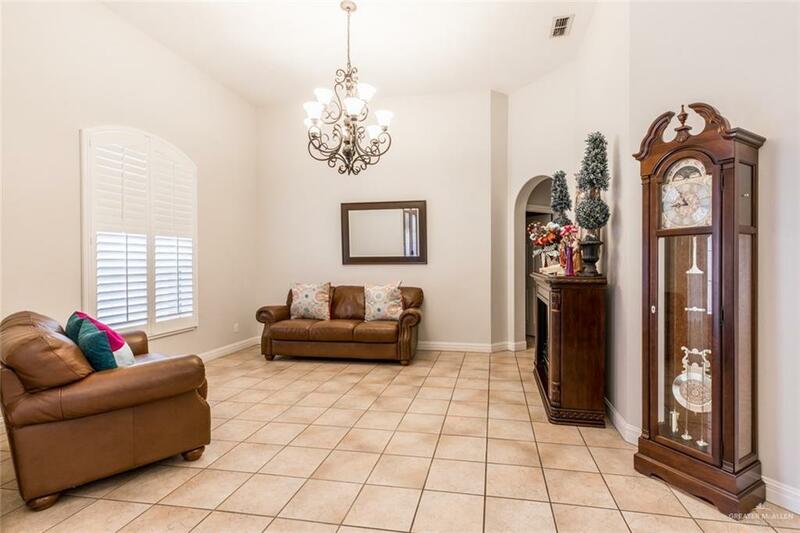 This home is ready and perfect for the family with kids attending Vela High School. Call Carina Veale schedule a showing today!